We all know that the business world can be ruthless, especially when your competitors don’t play by the rules. Whether you’re a startup or industry staple, if your business falls victim to false advertising, fraud, online defamation, or other unfair business practices, our San Francisco law firm has the tools and experience to help you level the playing field. 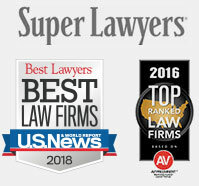 Our expertise with the applicable federal and state competition laws for unfair competition in San Francisco allows us to guide you in the direction of the best possible resolution in the most cost-effective manner, whether through leveraging a settlement or making the case to a jury. You can rest assured that our San Francisco law firm will give you our honest assessment on your unfair competition claim and work hard for you, so you can focus on what really matters – growing and maintaining your brand.